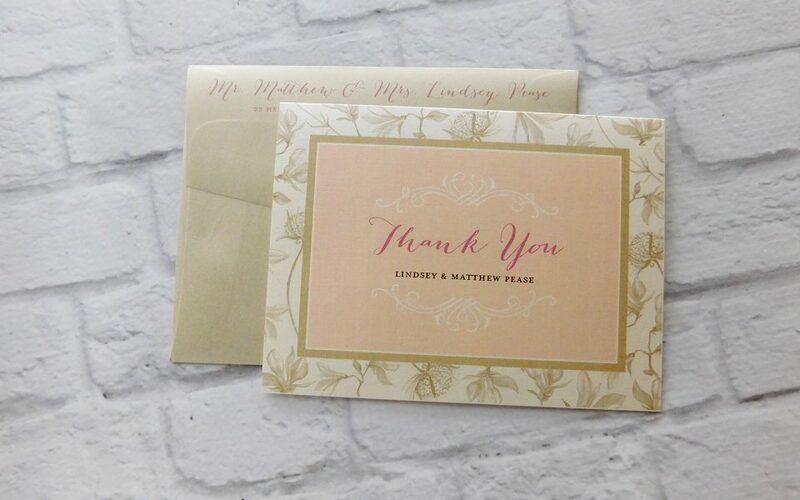 The boho glam wedding invitation suite features muted shades of blush pink and shimmery champagne gold with accents of chocolate brown and a beautiful soft floral patterned paper. 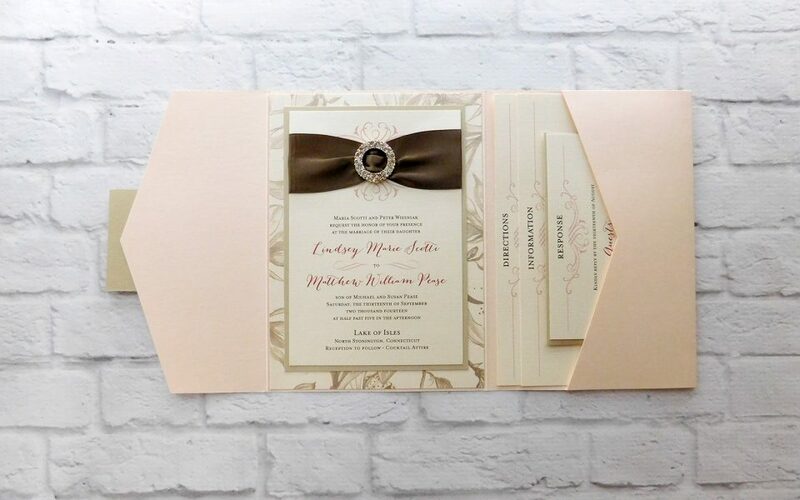 Open the invitation to reveal an elegant round rhinestone buckle and chocolate brown satin ribbon topper. 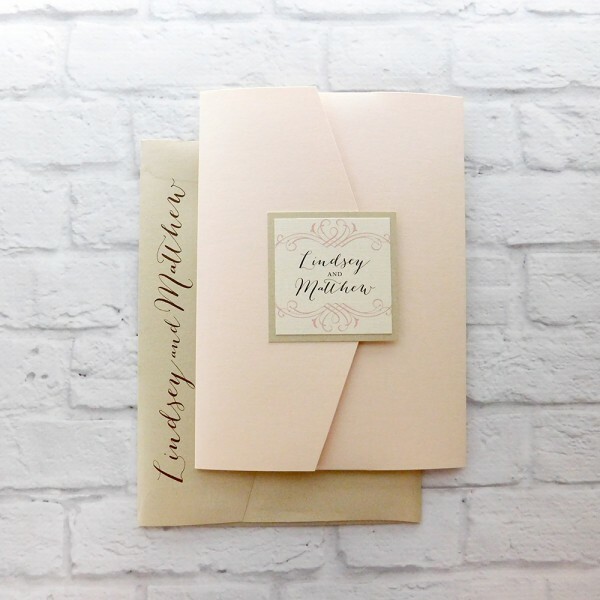 Enclosure cards are tucked in the attached pocket. 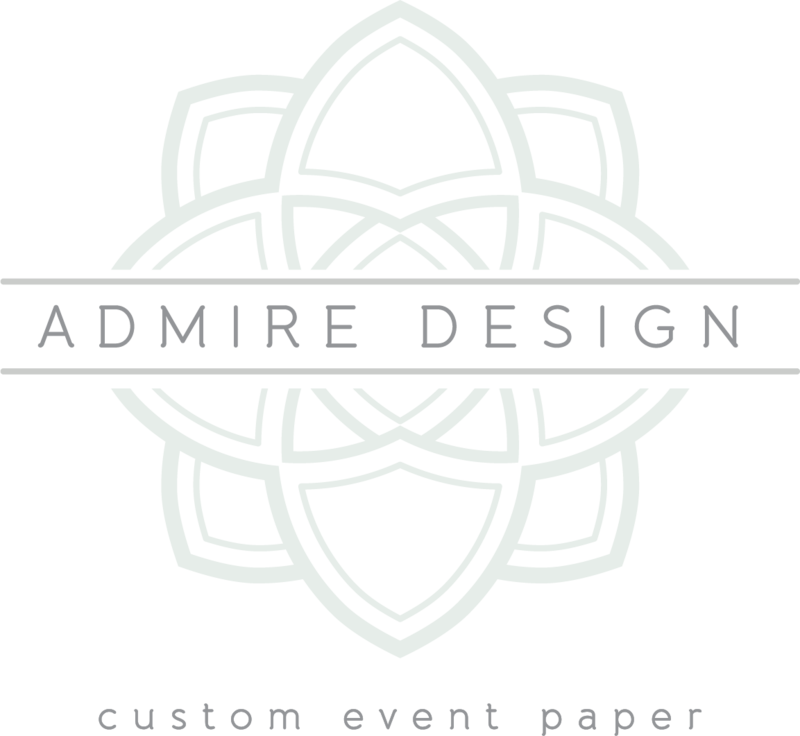 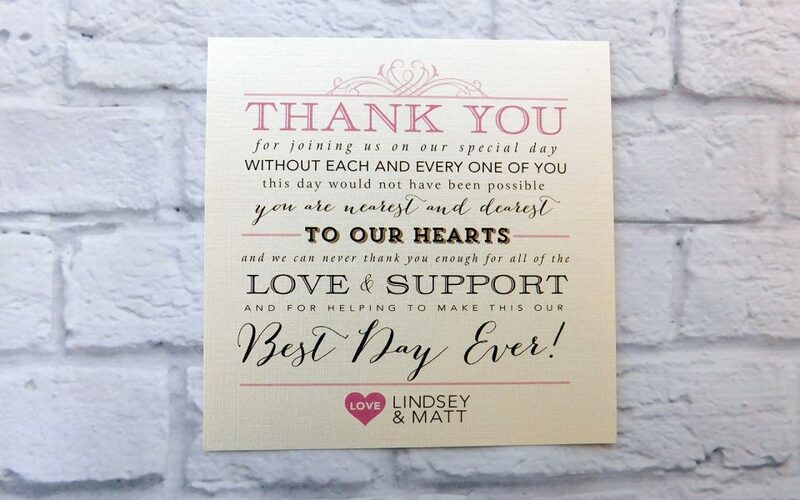 Also featured are rhinestone accented wedding menus, a signature cocktail sign, table numbers, wedding welcome notes for out-of-town hotel guests, gift tags (guests were given pashminas for the outdoor ceremony), and personalized wedding thank you notes.